PPS offers different washing and cleaning solutions for processing. Together with Müller we offer washing and cleaning systems for format parts, drums and bins – and from Romaco Macofar, we supply washing and sterilization systems for vials and ampoules. All cleaning systems are designed to meet highest cGMP and EHEDG regulations. 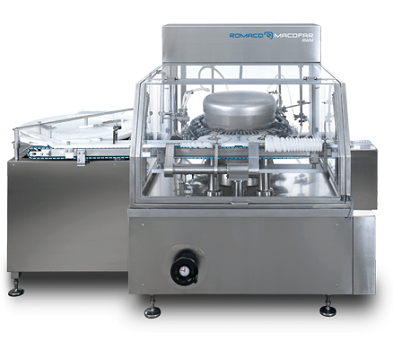 The high quality automated cleaning systems ensures reproducible cleaning, rinsing, and drying processes and subsequently highest product safety. 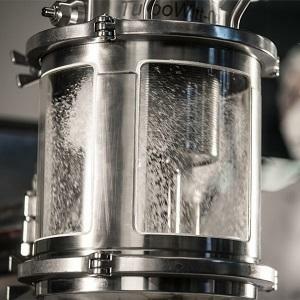 Müller offers washing and cleaning solutions for manufacturing equipment such as containers, IBCs, drums, bottles, funnels, valves, and various machine parts. We offer standard cleaning systems as well as tailor-made solutions, including customized racks. Müller designs and manufactures cleaning solutions of cutting edge hygienic design and with the highest product safety, as well as stainless steel drums and containers, and stationary and mobile handling equipment for technical processing applications. 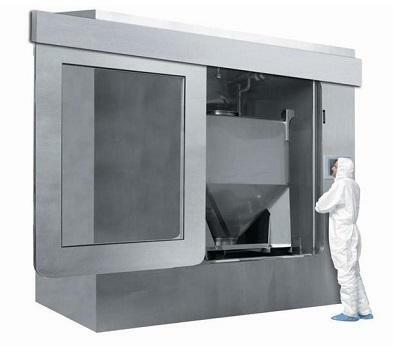 Romaco Macofar offers filling solutions for sterile powders and granules. 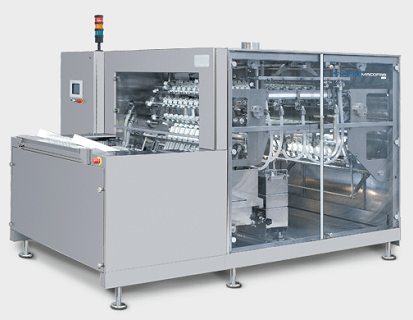 Machine solutions include micro dosing machines, filling machines for dry and liquid materials, washing machines and sterilizing tunnels for ampoules and vials – all machines can be supplied as standard or aseptic model. 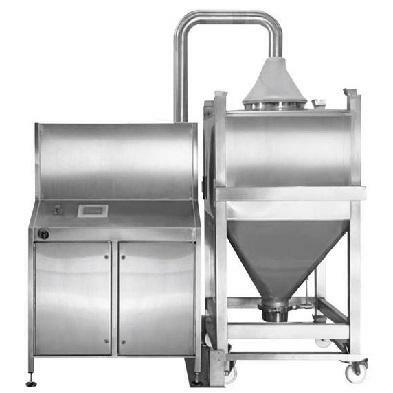 Fully integrated cleaning device to be used inside and outside for pre-steam, pre-wash, wash, neutralize, rinsing and drying of equipment in contact with the produced product, including but not limited to drums, bottles, barrels, filling line equipment, pumps, tablets presses, and laboratory glassware. The cleaning system can be used for interior and exterior cleaning of containers, IBC’s, drums, vessels, barrels, and boxes, including pre-steam, pre-wash, wash, neutralize, rinsing steam out and drying of equipment. Fully automated solutions for infeed, out-feed and opening/closing of full containment IBC’s are available. This modular and automated CIP cleaning solution is for inside cleaning of containers, bioreactors, vessels, mixers, fermenters, and other hollow parts with inlet and outlet for cleaning media. The cleaning device provides up to eight different programmable cleaning cycles. Romaco Macofar and PPS supply a number of high performance solutions for washing and sterilizing ampoules, vials and other glass containers. Solutions include both linear and rotary washers, as well as customized solutions. 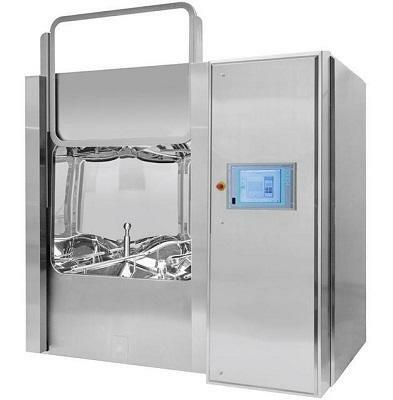 The high-performance intermittent motion washer from Macofar guarantees precise and smooth washing of vials, ampoules and other cylindrical glass containers. Washing cycles can be either standardized or individually modified to customer requirements. Additional wash, drying cycle or siliconizing are available upon request. Maximum output: 24,000 containers per hour. Up to four different fluids; pre-washing in an ultrasonic bath, demineralized or recycled water, distilled water, or water for injection (WFI). Co-axial spraying nozzles allow for the use of a combination of water and air. The Macofar rotary washer is available as both intermittent and continuous motion machine. Vials are loaded directly from trays and there are eight washing stations available. CIP (Cleaning-In-Place), SIP (Sterilization-In-Place) and DIP (Drying-In-Place) are available as an option, as well as compliance with 21 CFR Part 11. Maximum output intermittent motion washer: 9,000 vials per hour. Maximum output continuous motion washer: 24,000 vials per hour. Washing cycles can be customized to fit individual requirements.